2. What are the platforms supported by Selenium Webdriver? 3. What are the different browsers supported by Selenium Webdriver? Note: Headless browser is a web browser without Graphical User Interface, so one cannot see the test execution on screen. 4. What are the different programming languages supported by Selenium Webdriver? 5. Name any 3 limitations of Selenium WebDriver. 6. What are the different types of locators in Selenium? Locators are used to identify web elements within the webpage. There are 8 different types of locators in Selenium. 7. What is the command used to launch a browser? 8. What is the command to launch an URL? 9. What is the command used to get the current page URL? 10. What is the command to get the webpage title? 11. What is the command to type values in a textbox? 12. What is the command to get the text values ? 13. What is the command to clear values in a textbox? 14. What is the command to click a control? 15. What is the command to maximize a browser window? Note: Selenium does not have any built-in function for minimizing the browser window! 16. What is the command to click on a hyperlink? 17. What is the command to find if an element is displayed on a screen? 18. What is the command to verify if a checkbox/radio is selected? 19. What is the command to verify if a button is enabled? 20. What is the command to verify if a particular text is present on the webpage? 21. What are the different commands used for a dropdown list? 22. Name any 4 commonly used Assertions in Selenium? 23. What are the different navigation commands? Note: driver.navigate().to(“www.letzdotesting.com”) and driver.get(“www.letzdotesting.com”) does the same thing! Both are same!! 24. What is the command to right click? 25. What is the command to mouse hover? 26. What is the command to double-click? 27. What is the command used to scroll down to a web element? 28. What is the command to drag and drop? 29. What is the command used to get the attribute values of an element? 30. What is the command used to get the CSS properties of a web element? 31. How to handle alert pop-ups? 32. What is the difference between findElement() and findElements()? findElement() – Finds the first matching element in the DOM & returns a single element. findElements() – Finds all the matching elements in the DOM & returns a list of elements. Note: findElements() will not throw an exception if an element is not found. It just returns the list size as zero, whereas findElement() will throw element not found exception. 33. What is the difference between driver.close() and driver.quit()? 34. What are the two types of waits available in Selenium Webdriver? 35. How to handle iFrames? 36. Name any two testing frameworks that can be integrated with Selenium Webdriver? 37. Name any two build management tools that can be integrated with Selenium Webdriver? 38. 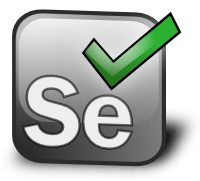 What software do you need to run Selenium Webdriver in JAVA? 39. Name any advanced framework design that can be used with Selenium Webdriver? 40. Name any 5 Exceptions that you got while working with Selenium Webdriver. Know anyone who is preparing for Selenium Interview? Help your friends by sharing this article on Facebook, Twitter, or Google Plus. Previous Post How to download Katalon Studio?